Why you will add a headline animator? If you are a blogger then you will find that after a time you have posted a lot of article. If you add a lebel from add a gadget then it show your article's lebel, Not the real head line. If your head line and lebel are same then you can all your posts in lebel gadget. If you you recent posts gadget then your user will sea a fixed number of posts or headline. But if you use a Headline Animator then your user can see all the Headline. It is animated and it looks good. I'm using a Headline Animator below my Template. You can also use TOC (Table Of Contents). Here your user will get all the contents headline within a Table. (I think TOC is better than Headline Animator). 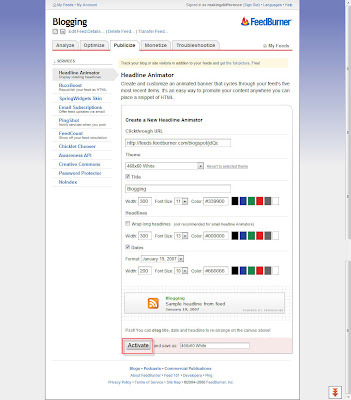 Here you will get a new window showing Add Headline Animator To blogger. 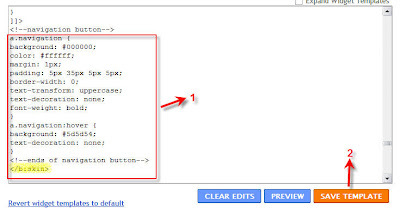 Click Add To Blogger. You have finished. Enjoy with your Headline Animator. If you are a blogger and you are blogging for a long time then you will find that your site is carrying a lot of pages with a lot of title. The lebel gadget or recent posts are not displaying all the articles name. It will be better for your user if they can see your all posts. You can sort the TOC by Post Title by clicking the column header. Click it again, and it is sorted in reversed order. The same way if you want to sort the posts by date: newest first, or oldest first. And by clicking on one of the labels in the TOC filters all posts with that label. Click the column header to return to the full TOC. I think it is good for SEO and it will increase your traffic because it will make your site user friendly. 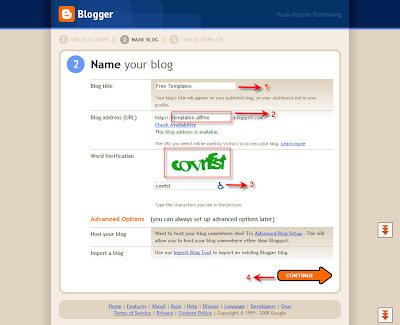 Here is how to install it to your Blog. Edit your template in HTML-mode, and look for the <b:section> with id=main. This is the section that holds the Blog posts. Save the template and switch to the Page Elements Tab. 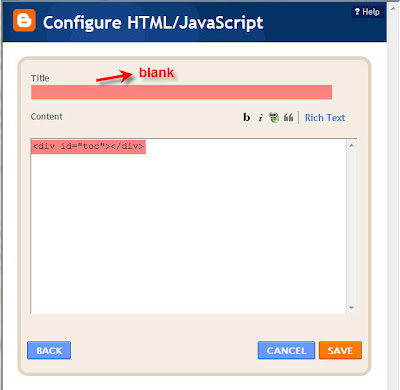 Go to Layout < < Add a gadget and then Add a HTML page element above your Blog Posts element. Now add a HTML-element to the sidebar. Set the title to "TOC". Replace YOURBLOG with the name of Your Site's URL...... exactly. Add custom styles to the skin of your template. You can add this code to the <b:skin>-part of the template, or insert it in the sidebar widget. Be ready to change your title accordingly to your posts.It means you can now have a unique title for each and every post now.This will really help your blogs ranking and it will help you for your blogs Search Engine Optimization. You should be creative so that you will get best result out of it. Create Recent Posts Widget. It will help your reader. They will able to know the recent posts. Follow the process to Get the Recent Posts widget. 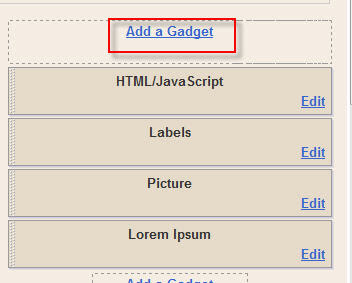 Sign in your site ant go to layout>>Page Elements>>Add a Gadget. it would be a waste of your time to optimize your website. To find out the best keywords you should spend some time. There are many SEO tools available on the Internet to help you find the best keywords. You can use these two popular Software from here. Insert keywords that is used in your meta tag within the title tag so that search engine robots will know what your page is about. The title tag is located right at the top of your document within the head tags. 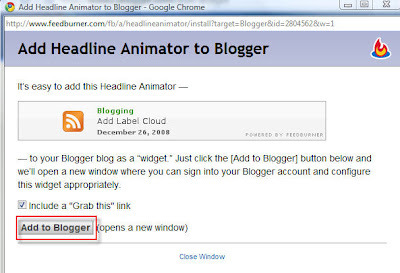 If you are a blogger then you will see it while you are writing your article. Inserting a keyword or key phrase will greatly improve your chances of bringing targeted traffic to your site. It is a good practice for bloggers. If your site contains a lot of pages then use the same keywords as anchor text to link to the page from other pages on your site.The more linked keywords the more better. You should use the title text within the body of the page. It will let your users to know that they are in the right page. It is good for bloggers to make the keywords bold. A good blogging site should not contain more than 5 same keywords within the same topics. Do not use the exact same title tag on every page on your website. You should know that search engine robots are crawling your site continuesly and it might determine that all your pages are the same. As a result your pages might not get indexed. meta tags are hidden code. It is written within the <head>....</head> tags. search engine read the meta tags. It is very much important for webmasters to increase their site rank. PageRank is relative and shared throughout a website by a unique voting system created by Google. I could spend two days trying to explain how PageRank works, but what it comes down to is having efficient navigation throughout your site. That where a site map page comes in. Since every page on the website will be linked to the sitemap, it allows webcrawlers (and users) to quickly and easily find content. This SEO tip is one of my favorite of top 10 SEO tips. Use alt tag for your site's images. This will help search engines that index images to find your pages and will also help readers who use text only web browsers. You should keep in mind that not everyone is searching text, a lot of people are seeing images. alt tag will help you to let them find your images. 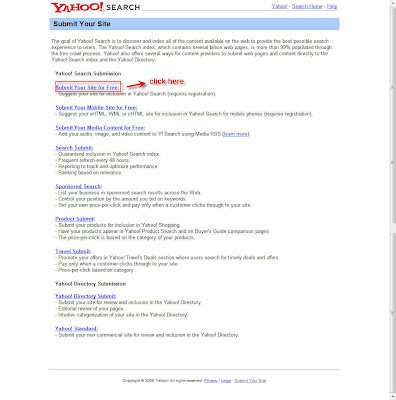 Submit your site in different search engines by yourself. Do not use a submission service or submission software. Doing so could get your site penalized or even banned. Through submitting your site in different directories you can get traffic and it is a good SEO trics. Here are a list of directories. You can more through searching the internet. What Can You do With a Blog? A blog (a contraction of the term "Web log") is a Web site, usually maintained by an individual with regular entries of commentary, descriptions of events, or other material such as graphics or video. Entries are commonly displayed in reverse-chronological order. "Blog" can also be used as a verb, meaning to maintain or add content to a blog. 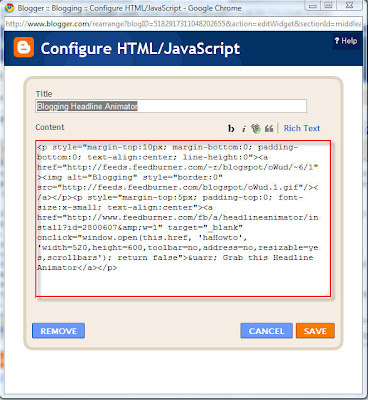 Enter your Blog title in Blog title textfield (1), then enter blog address (your sites URL) and Check Availability (2). Then enter the words that is provided by the sites (3) and click CONTINUE (4). 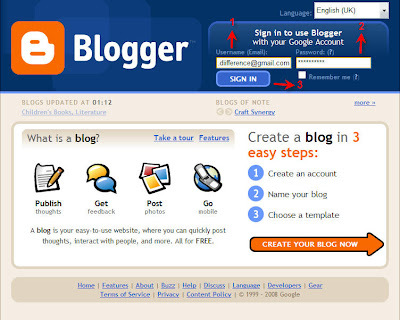 Click START BLOGGING to start your blog. You have done it. Question Blogging is a type of blog that answers questions. Questions can be submitted in the form of a submittal form, or through email or other means such as telephone or VOIP. Qlogs can be used to display shownotes from podcasts or the means of conveying information through the internet. Many question logs use syndication such as RSS as a means of conveying answers to questions. We can do a lot of things through our blog. It depends on who is blogging. We can express our thoughts, our opinion. We can use it for our company's publishing activity. We can also earn from our blog. In a word we can do what a website can do with a blog. Add your comments or keywords that describe the content of your page. 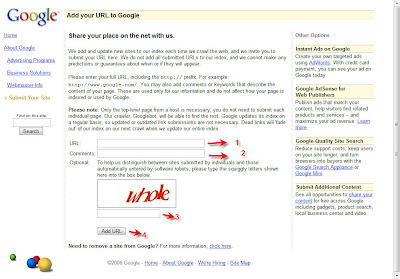 These are used only for Google's information and do not affect how your page is indexed or used by Google. 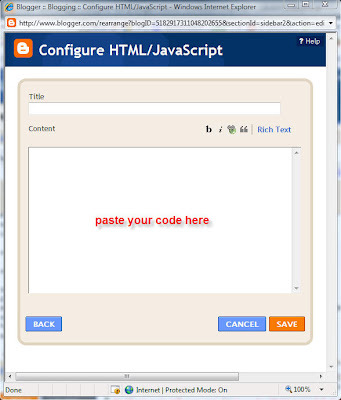 You should create button if you have a site that contains a lot of data on various topics. from other source. 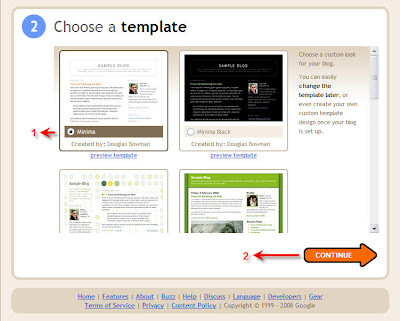 Some templates contain navigation button but most good looking templates do not contain it. I will deliver you the process. Find <b:skin> and </b:skin> tags in your template. You will find it in your Templates Style section or just use Ctrl+F to find out it. the button when you place your cursor over the button (the "mouseover" effect). prefer for your blog. You can easily find and see 350+ color codes from here. 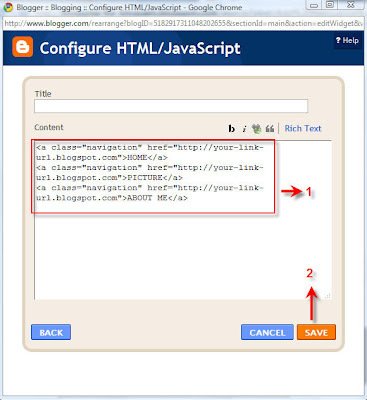 Make sure to replace "http://your-link-url.blogspot.com"
with the URL of the post page (or link) and replace the link text (eg: HOME) with the text you would like to display.